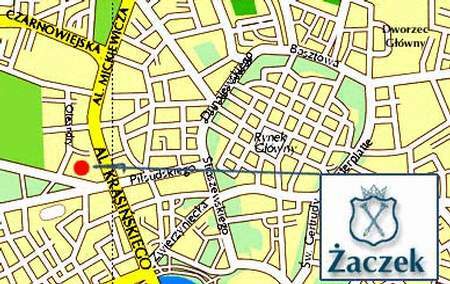 The Zaczek Hotel is situated in a very convenient location close to Krakow’s center, only a 10-minute stroll from the Market Place. 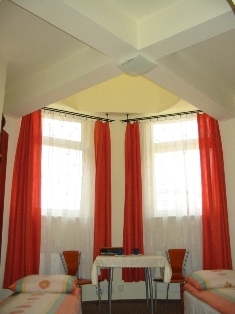 The hotel is located in the vicinity of Krakow’s Blonia and the Jordan Park. 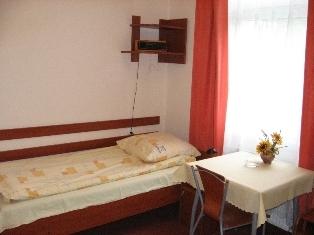 The Zaczek Studencki hotel offers 116 beds the whole year. From July to September 560 beds are available. 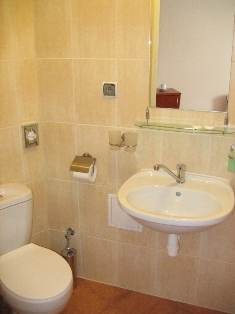 The rooms are equipped in a bathroom with shower, radio, fridge, kitchen utensils, telephone, and Internet access. The rooms are standard-equipped with towels, bed linens and basic utensils. 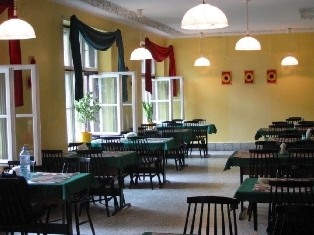 Room rate does not include breakfast, which can be ordered at the hotel’s café. Dinner cost about 8 PLN in the hotel's dining room and about 10-15 PLN in the bar. 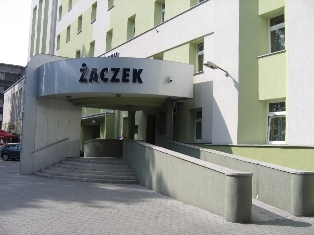 The Zaczek Studencki hotel is located within a 5 minute walk from the center of Krakow, 6.5 km from the airport and 1.9 km from the train station.